Sunflower pesto for summer, I couldn't resist. Adjusting back to work and your regular routine after a holiday weekend is never enjoyable or easy. You're tired, maybe you over indulged with both you diet and your money, but this easy, healthy and affordable recipe will get you back on track. Want to know what makes this couscous so delicious? Pesto. Okay, you probably guessed that. Especially since I'm a bit pesto obsessed, but I really feel like pesto can turn just about any simple ingredient or meal into something ridiculously yummy. I've been experimenting with all kinds of new pesto variations like one using arugula and one without nuts (coming to the blog soon), to mix it up. When I invented this sunflower pesto it just felt so fun for the season and was simultaneously so yum, that I couldn't wait to share it with you. The one tricky part of pesto's is that they can rack up your grocery bill. Nuts aren't cheap, especially walnuts or pistachios (although this recipe is so worth it), and neither is a ton of fresh basil, so I wanted to develop a more affordable variation for those days you're really watching your wallet. Perusing the nut section at Trader Joe's, I discovered that a huge bag of sunflower seeds was just $1.50 and I knew I'd found the golden ticket. Oh, and did I mention couscous is also super affordable and amazingly easy to make? You literally just boil water, pour the couscous into the pot, cover it for 5 minutes, stir and you're done! Say what?? In terms of the veggies, this is totally a kitchen sink dish, meaning that you can throw just about any vegetable you have on hand in and it's going to taste amazing (thank you sunflower pesto). Just don't forget a light sprinkle of sunflower seeds on top for that added oh-so-satisfying texture and crunch. 1. 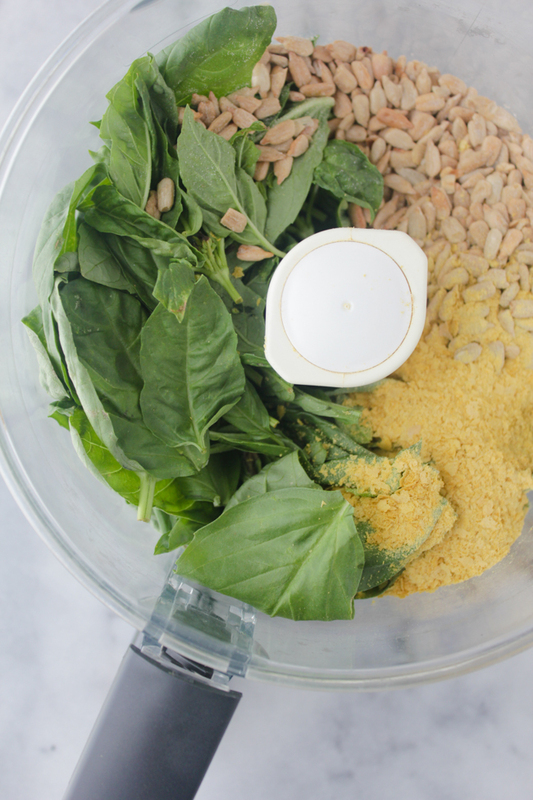 To make the pesto: Place all ingredients plus salt and pepper in a food processor or blender and whiz until smooth. Set aside. 2. Heat the olive oil in a large pan over medium high heat. 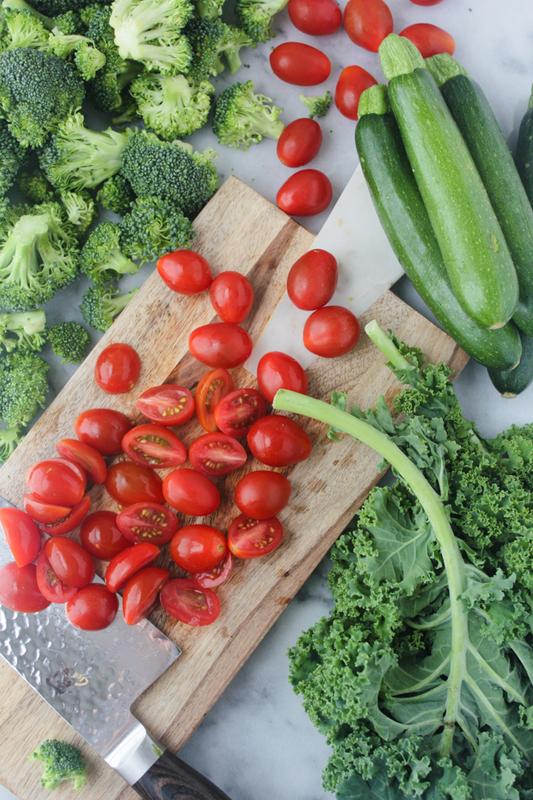 Add the broccoli, cherry tomatoes and zucchini and cook for about 3 minutes. Add the chopped kale, garlic powder, salt and pepper and cook until tender, about 2 more minutes. 3. While the veggies are cooking, prepare couscous according to package instructions. 4. 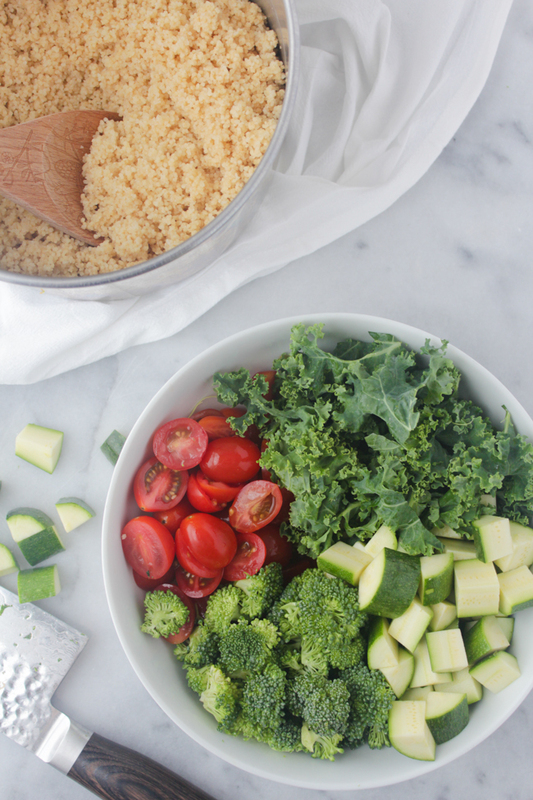 Combine couscous and veggies in a large bowl and fold in pesto. Divide into bowls and top each with sliced avocado and sunflower seeds. So I can't eat couscous because it's filled with gluten BUT do you think quinoa would work?! This looks so good! I really want to try it!! 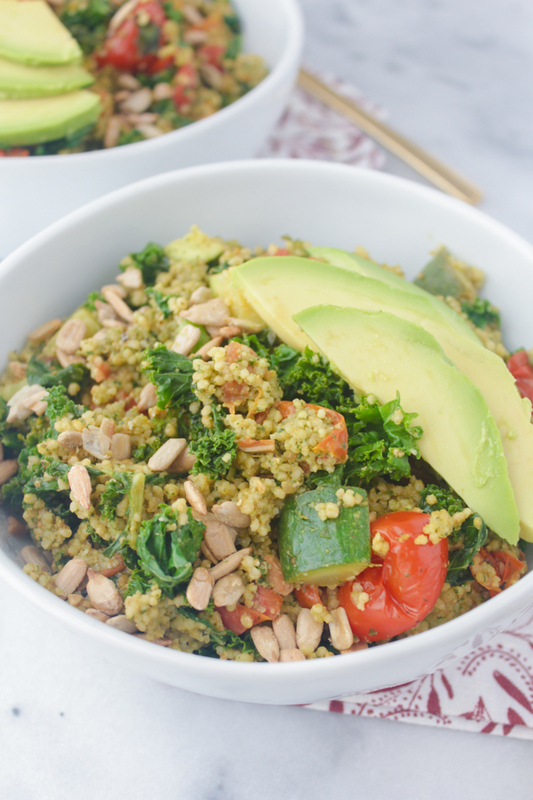 I've actually made this with quinoa too and its SO delicious! I have never tried sunflower pesto, but this looks very appetising. Thanks, Carina! It's so yummy! OMG its look so delicious. Thanks, Maria! It's really so good. 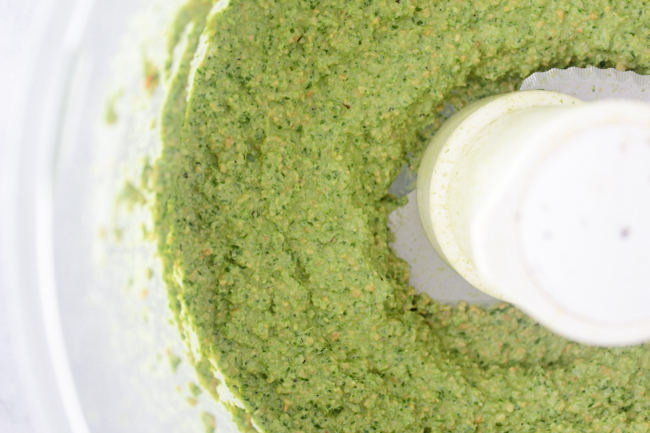 I love that you found a way to make a more affordable version of pesto! I have a basil plant in my tiny apartment garden, but nuts can be so expensive. Will definitely be trying it with your recipe :) And couscous, boy, I haven't had those in ages, but I love them - thanks for bringing them back on my radar! This looks amazing! Have you tried making it with quinoa? I am gluten free so I would need to sub the couscous for something! I too am obsessed with pesto! Great recipe! Oh and I love your blog btw. New reader here! Thanks so much, Kendra! I love that you are a new reader!! I just visited your blog as well and love it. 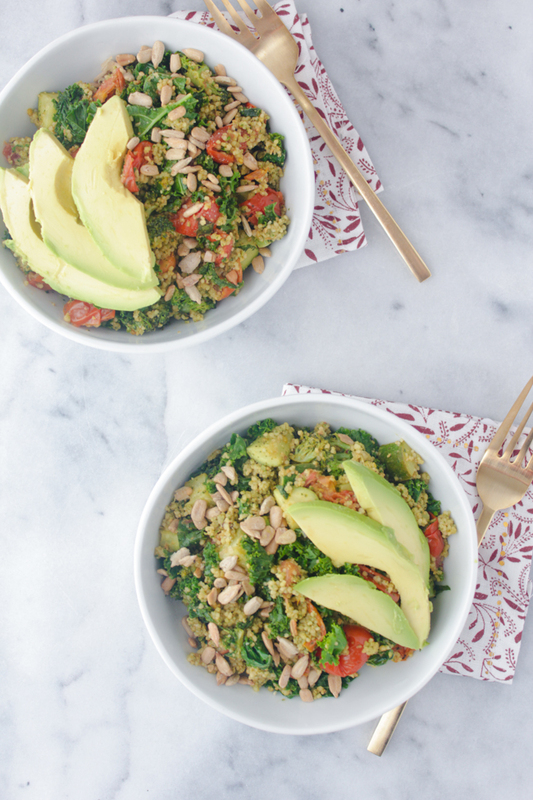 I have tried making it with quinoa and it works super well! This pesto is good on pretty much anything to be honest ha! Is it great if I use vegetable oil? Hi Julia! 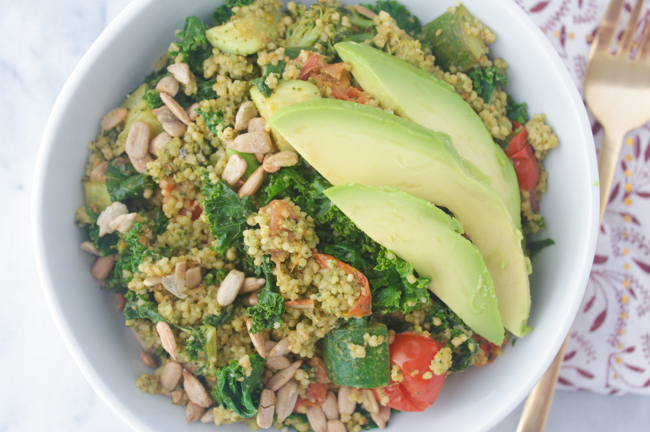 I loved this vegetable couscous recipe. It looks not too difficult to cook at home. Your post was very detailed and the pictures were gorgeous. Thank you for sharing.